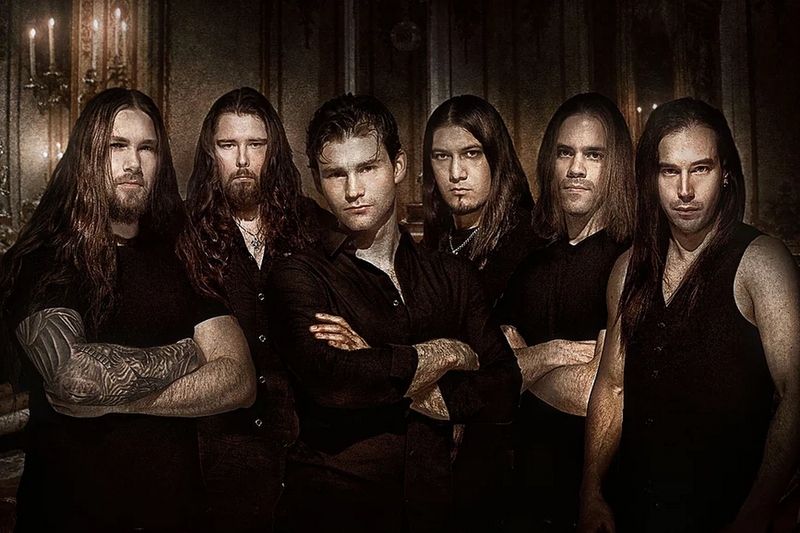 For this week’s Meet The Band we go north of the border to feature the Canadian symphonic metal group Operus. After releasing an EP in 2015, their full-length debut is Cenotaph. Guitarist Oscar Rangel (ex-Annihilator live) introduces us to his band. Chad Bowar: Give us a brief history of Operus. Oscar Rangel: Operus as an idea started a long time ago (2005) but the serious project came to life in the winter of 2013 when Wojtek Sokolowski and Robin Howe joined the band. Working in songs written as far back as 2005 and composing new pieces, we released an EP in November of 2015 with Rob Holden already in the lineup. After the release, the band focused on working on the upcoming album and played some shows around Toronto. After the EP release, J.J. joined the band in drums (He also drums for Skull Fist), and In October of 2016 the band hit the studio again for the recording sessions of Cenotaph. it was during this sessions that the band had to let the singer at the time go and got in touch with David Michael Moote, who brought a very professional and expressive sound to the album, and completed the sound we propose to the audience today. I have been very lucky to have found such a talented professionals to be part of this group. All of us have a lot of experience playing in professional settings. From David Michael Moote playing lead roles in the musical theater industry to J.J. Tartaglia drumming everywhere in the world with Skull Fist, and my own experience playing festivals everywhere with Annihilator and classical concerts in theaters and halls. Our cellist Robin has also been on stage with incredible acts such as Trans Siberian Orchestra and countless chamber and theater orchestras, while our guitarist Rob has toured in the past with Vital Remains and our bassist was part of the black metal band Eclipse Eternal. Describe the songwriting and recording process for Cenotaph. So far the songs have been originally composed by me, as I have a massive collection of finished songs due to the fact that I have been composing for this since 2005. After a selection process where the whole band is involved, I arrange the songs to suit the instrumentation and all the details we would need to make songs work live. After that we all learn the parts and that’s when we take them to the rehearsal studio. Once we play the songs how they are written we start making any modifications and arrangements with the whole band’s input. After we have the final product usually Wojtek and I work even further in the orchestral arrangement and finally David Michael Moote puts lyrics to the songs. The next album will be a different approach as now we know David will be involved in the process from the beginning, so I can’t wait to get back to the studio! Cenotaph has an interesting combination of classical music due to the cello and classical guitar, metal due to every other instrument in the band and musical theater due to the texture, arrangements and delivery in the vocal lines. We toyed with the idea of defining it as “Theater Metal” as it sounds like it should be performed in music halls or theaters and in festivals and not just in conventional metal venues such as bars. Cenotaph is a commemoration of writers and poets who never gained the recognition and or lived to see the impact of their work. The concept and inspiration for the title of the album is taken from a statue in Budapest located opposite of Vajdahunyad Castle of Anonymous, the unknown chronicler at the court of King Béla III. The lyrical concepts are not that of any one specific idea but rather a mosaic of different stories and legends which are meant to paint images in the minds of the listener, much like the tales laid by the quills of writers long ago. What has the early response to the album been like? So far we have been humbled by the reactions to this album. We have pretty much just received compliments from people inside and outside of the industry, complimenting us in the sound and production quality and in the musical content as well as the amazing voice of David Michael Moote. The main goal with this album for the band is to use it as our banner to tell the metal community in the world stage that we are here, similar to what an introduction card would do. We are working on getting a lot of shows to support the album. As to expectations, we are hoping to at least be noticed by established promoters in the festival industry, as we all have performed in many festival stages and love the energy! What has been your most memorable Operus live show? For me it would be the show we played at the Opera House in Toronto as support for Sonata Arctica. It was one of the first shows we played with JJ in drums and the energy on and off stage was extremely positive, the audience was very energetic the whole set albeit being a short set by a new band for most of them. And we got some super cool looking footage from it to prove it! As mentioned before, we are working towards booking as many shows to support the release of Cenotaph as well as a Canadian tour, looking for a support spot with more established bands in the genre, and an either Mexican or European tour. I started when I was 12 years old and my closest friends and I decided to start a metal band. I decided to play bass and enrolled in a fine arts school to study classical guitar, because apparently that made sense to me at the time. Five years went by and when I finished high school I had already played classical guitar and bass guitar for five years, cello for two years and had no doubt of what I wanted to do with my life, so I went to University for music. The very first metal song I ever heard was “Father Time” by Stratovarious, that was what made me want to play music myself, along with one of my closest friends to this day Antonio Barajas, who is a very talented classical guitarist and composer. Then I loved Danny Elfman’s music as composer, Billy Sheehan for bass, Steve Vai for guitar and a whole book full of other names that would be too long to write here. Haggard in some theatre in Guadalajara, Mexico. I still remember the powerful feeling from that night whenever I hear that album. What’s the heavy music scene like in Toronto these days? The scene here is healthy when it comes to international bands, as there are so many people in Toronto and its surroundings that show up the big shows, often times having sold out venues, as Epica just did a month ago. And I would say that the local scene is also in good shape, sometimes bands or promoters complain about the lack of local support but I think it all is relative to the active promotion that takes place, or the planning of the shows, since this being a giant city, there’s times where more than two metal shows are happening the same weekend or the same day! Who are your all-time top 5 Canadian metal artists? Devin Townsend, Annihilator, Sanguine Glacialis, Kobra and the Lotus and Vesperia.